Join us for a full and exciting industry day on 8 August 2012 at the Freeworld Auditorium! The 3rd session of this year, trendtalk#3, will be held in conjunction with Design Dialogue, which Plascon is presenting in conjunction with Decorex. 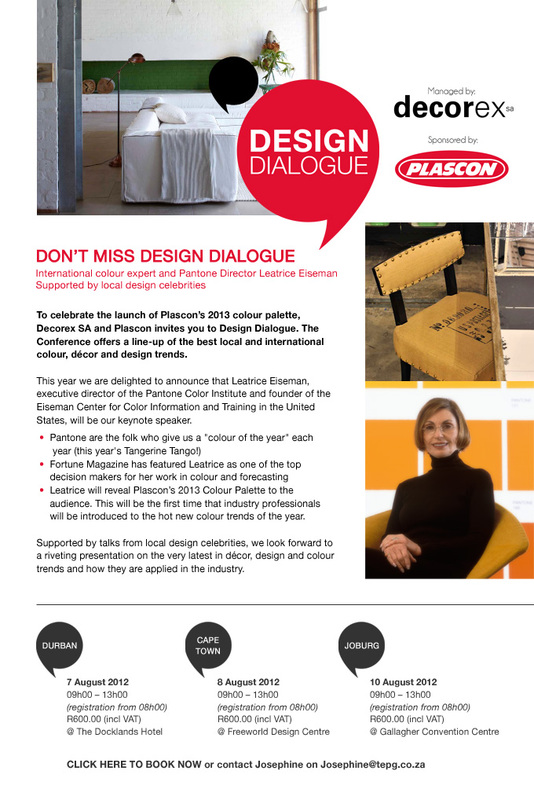 USA-based Leatrice Eisman who heads up the Pantone Colour Institute, will talk on colour trends and will endorse the Plascon 2013 Colour Forecast at its official Cape Town launch. At trendtalk#3 Michael Udell of Punk will share bright new advertising from the recent Cannes Festival; Jacques Erasmus of Hemelhuijs samples delicious ideas for food; Ricky Lee Gordon of A Word of Art will speak about a new world-class mural walking tour for Cape Town; we have Mardre Meyer from Source IBA (Interior Brand Architects); Justin Hartman of Social Code discusses social media; Source Interior Brand Architects presents the latest interior design directions; and Lauren Shantall will reveal the Plascon 2013 Colour Forecast. Design Dialogue will run from 08h00 to 13h00 and Trend Talk #3 will run as a separate event from 14h00 to 16h00. To book for Design Dialogue visit www.decorex.co.za. trendtalk#3 asks for voluntary donations at the door in aid of charity and no advance booking is accepted. Guests are advised to arrive early to secure a seat at these jam-packed events. 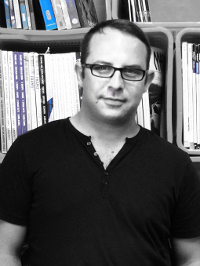 Before launching PUNK with King James in Cape Town, Michael Udell was the deputy MD of advertising agency DDB South Africa and the founder and MD of Tribal DDB SA. 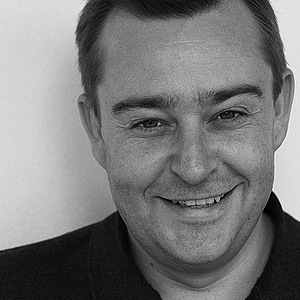 Prior to returning home at the beginning of 2010, Michael spent 14 years in London developing global digital strategies for brands such as Guinness, Philips and HSBC. 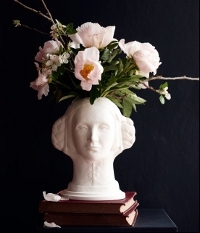 Jacques Erasmus of Hemelhuijs is a talented chef, decorator, furniture designer and fine artist. He has been the guest chef at Michelin restaurants in Europe, was the consultant to Cuvee at Simonsig and styles and produces various food and style-related work for publications. 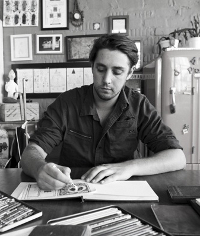 Ricky Lee Gordon, also known as the artist Freddy Sam, is the force behind A Word of Art (AWOA). AWOA believes in connecting people through creative practices to help effect social change on a local, national and global scale. In addition to its exhibition space and project room in the Woodstock Industrial Centre, AWOA runs an international artist exchange that brings visual artists from all over the world to South Africa to share time, skills and ideas with local creatives and community members. AWOA also facilitates ongoing arts outreach activities in the communities of Woodstock and Khayelitsha; and has completed capsule projects in Swaziland, Transkei and Gambia. Source IBA is one of South Africa’s leading interior design firms, spanning civic, hospitality and leisure, residential, retail and workspace design. They have recently completed the TEBFIN workspace in Johannesburg, and the Park Inn by Radisson in Sandton. Their Pezula Spa at the Pezula Resort Hotel and Spa was voted Top 10 in the World in the Conde Nast Traveller Readers Spa Awards in 2010. Justin Hartman is the co-founder and CEO of Social Code and has become known as a leader in the digital industry. Justin has worked in both the Media and Internet space since early 1997 with companies that include Media24, CareerJunction, True Love and FinWeek. 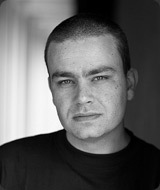 In 2007 Justin joined The Times newspaper as the New Media Strategist. Here he was heavily involved in conceptualising and executing the web-based strategies for South Africa’s first interactive newspaper. During this period he also co-founded Afrigator, a social media startup which he later sold a stake to MIH Internet – a division of Naspers Limited. In December 2008 Justin was voted on as one of eleven members to the Silicon Cape Steering Committee – a not-for-profit, community owned & driven initiative that serves to attract and bring together local and foreign investors, the brightest technical talent, and the most promising entrepreneurs. Today Justin sits on the advisory board for Silicon Cape. Prior to moving to Cape Town Justin was the Digital Innovation Manager of Avusa Limited’s online and mobile excellence unit called the iLab. He is now the driving force behind taking Social Code into future advancements in the digital industry. Lacia Gess runs the Design and Decor Business Network, a platform that offers people in the industry an opportunity to get together to be inspired, promote their business and get contacts and leads over breakfast. She is also the founder of Lifestyle Tours, where she offers fun yet educational bus tours of Cape Town’s Creative Industries. Wine will be available – kindly sponsored by Groote Post. There will also be spritzers sponsored by jimmijagga.